Chef Scott Campbell recently debuted his new speakeasy-style steakhouse, Butcher & Banker, tucked away in the former Manufacturers Trust Company Bank Vault beneath The New Yorker Hotel. Campbell has been quietly planning the restaurant for years, working to put a fresh spin on a traditional steak menu while preserving the vault’s lavish decor and rich history. Campbell regards Butcher & Banker as a “hybrid between a brasserie and a steakhouse” with an aim towards hotel guests and millennials alike. In addition to high-end culotte and rib cap steaks, customers can also choose from vegetable sides and seasonal dishes for a more health-conscious meal. The menu boasts over 100 wine bottles, many of which cost under $50 to accommodate tighter budgets. The opening of Butcher & Banker marks the first time the vault has been open to the public in over three decades. 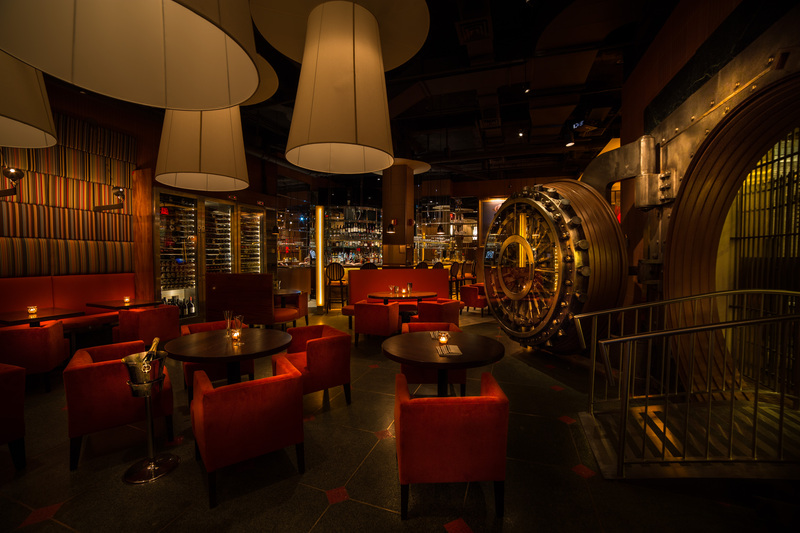 Upon entering its concentric door, guests are greeted with a luxe Deco-style interior flanked in velvet-upholstered tuxedo chairs, candlelit tables, and a full-size wine cellar on display behind sealed glass panels. 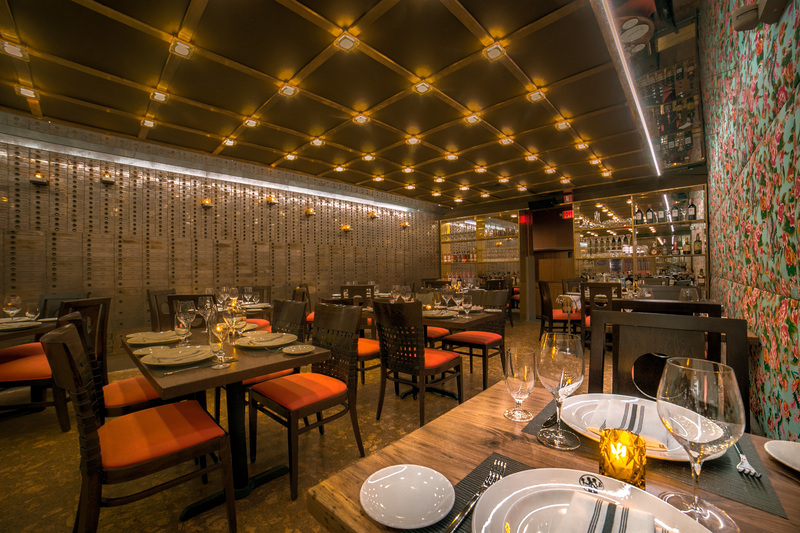 To pay further homage to the vault’s financial roots, the restaurant has preserved a wall of safety deposit boxes and historic photographs, illuminated by sweeping chandeliers and oversize pendants. The bank and vault itself were built on a compromise between The New Yorker Hotel and the Manufacturers Trust Company in the 1930s. In exchange for demolishing the original building and taking on the Manufacturers Trust Company’s property on Eighth Avenue between 34th and 35th Street, the hotel agreed to rebuild the bank and vault on its premise, provided the bank receive free rent for 50 years. The rent-free agreement remained intact until 1980. Butcher & Banker is open to the public and available for reservations seven days a week from 4:30pm–10:30pm. The bar is open from 4:30pm–2am each day, serving up cocktails, whiskey, and small bites (available until 12am). For additional information, visit their website or call 212-268-8455. Keep up with our blog for special events and offers, history, and all things New York.